I’ve been trying and trying to launch a Neo4j instance on the marketplace without success. It always gave me the nice “success” message, but when I went to the EC2 console: nothing! A nice green “success” message even though it doesn’t work. I finally decided to do it the hard way: manually. 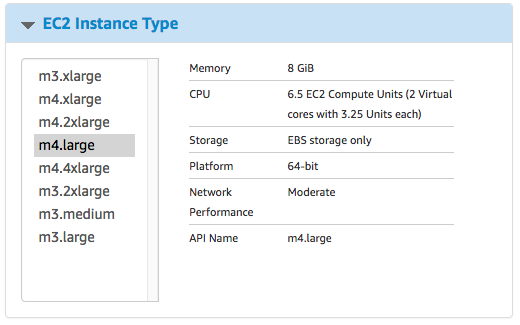 First step: select an instance type. I immediately try to select the same low cost instance I had picked in the marketplace (m3.medium) and to my surprise that type wasn’t there. Instance type selection as per the Neo4j marketplace page. Adding 1 + 1, I went back to the market place and tried with an instance type that still exists: m4.large… success! Why do we get the success message even though it doesn’t work? Why are unsupported instance types offered in the market place?